Travelling to Atlanta should take place in a long red car on an early summer day listening to the B-52’s. A brightly colored scarf atop my head blowing in the wind as I repeatedly sang Love Shack loudly (and off key). This is how I pictured heading down the highway towards Hotlanta. Well, in reality, I hopped on a quick flight going south and tagged along with my husband while he attended the AIA15 Convention in May. The schedule for this long weekend was pretty flexible during the daytime so I was free to roam and made sure the itinerary wasn’t too rigid. High on the list of for day one was a meal in the hot new neighborhood spot. 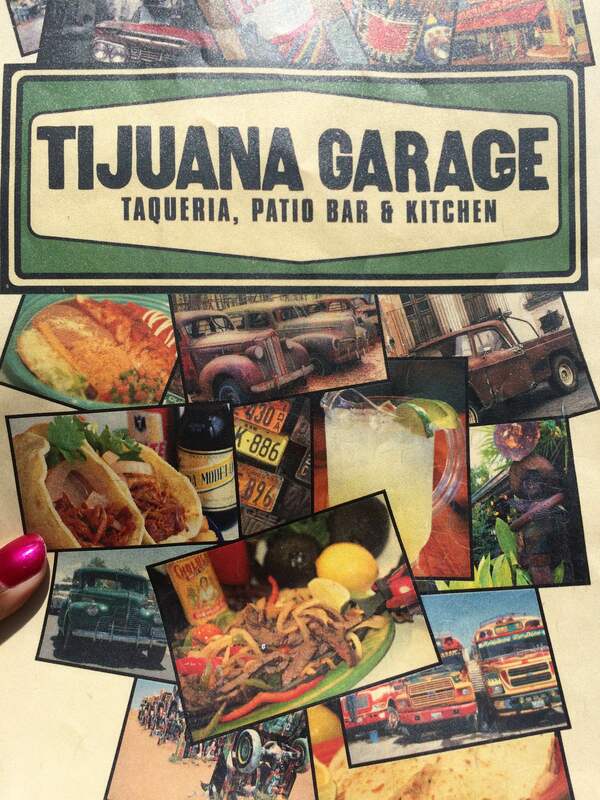 Luckily for me my Atlanta based bestie had me covered with a lunch trip to Tijuana Garage in Little Five Points. 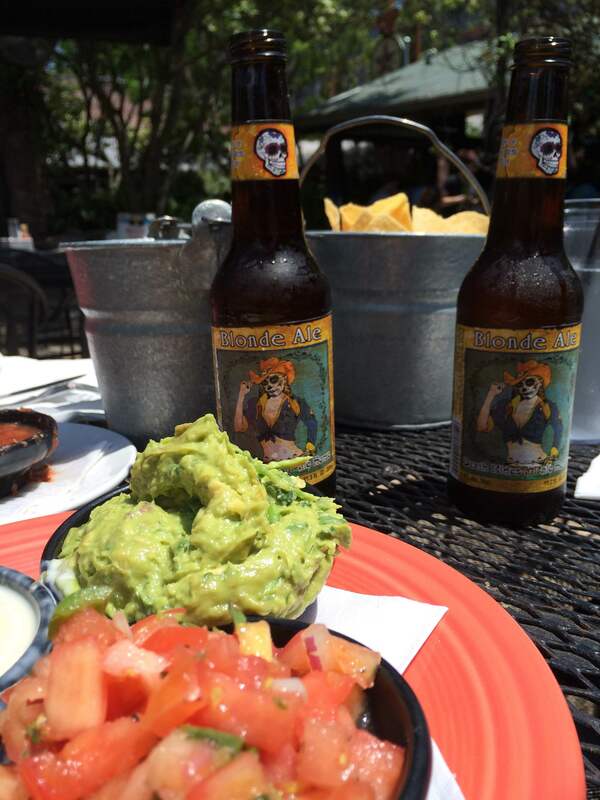 Sunny day, guac, beers and good friends. What else do you need? This lovely spot is perfect for dining al fresco while indulging in Tex Mex cuisine. 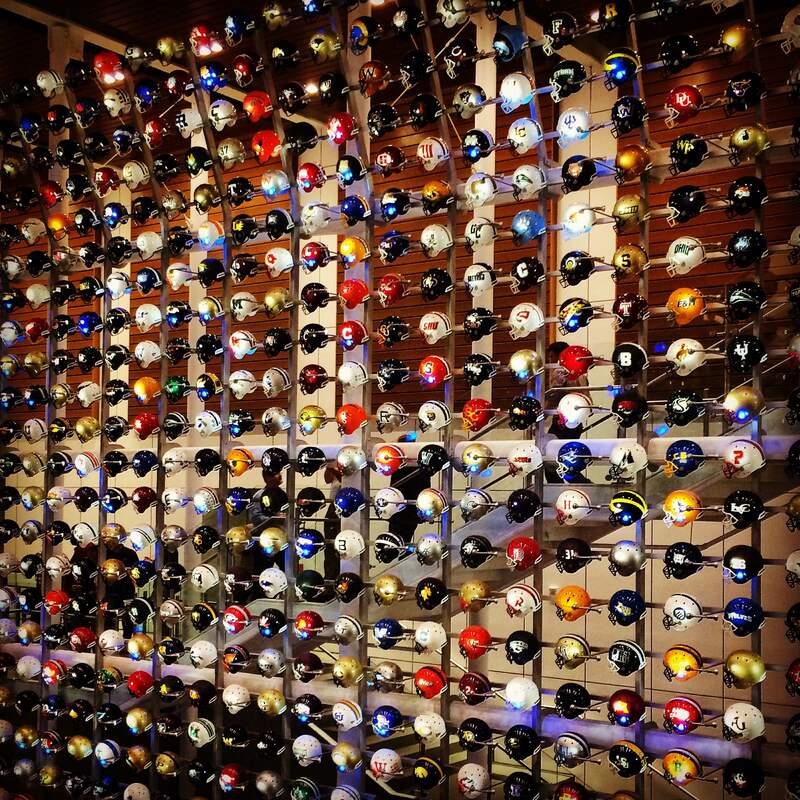 Imbibing here is fully encouraged with a great list of tequilas, margaritas and beers. Tijuana Garage is a perfect little spot for family dining during the day kicking up your heels to the live music after dark. If Tex Mex is not your thing (ask yourself what is wrong with me? ), you should venture over to the very bohemian Little Five Points area just to check it out the other dining, shopping and entertainment options it has to offer. The area is known for embracing alternative culture and has a wonderful vibe. My crush was immediate. On my list for an extended exploration on the next visit. 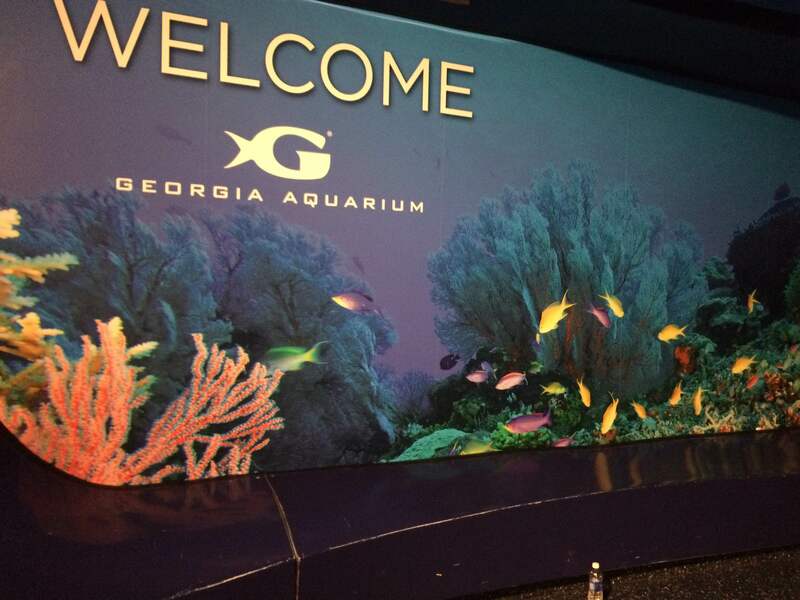 Welcome to the Georgia Aquarium! Dare I admit that there was some trepidation about this addition? Thinking I would be surrounded by large crowds in small spaces I was reluctant to venture into the Aquarium. High value is placed on my elbow room you understand. Once inside you will find the space to be open, airy and quite fascinating. 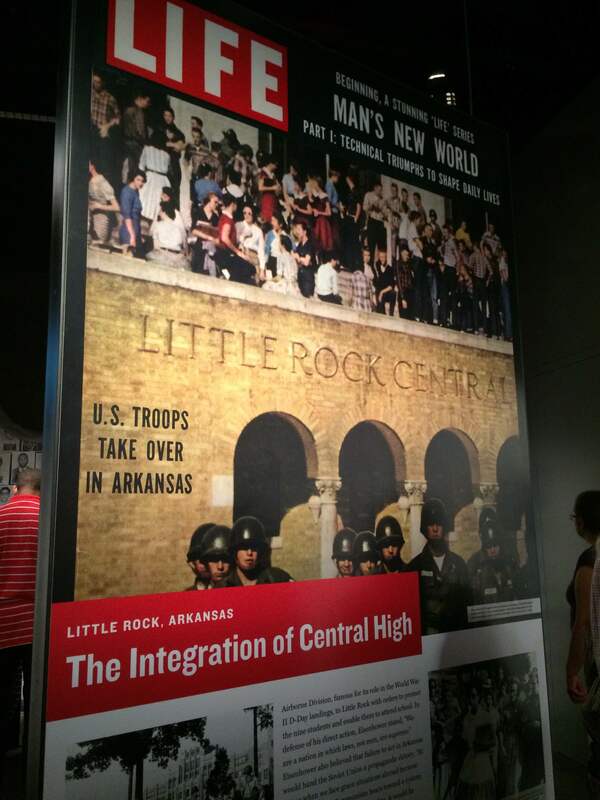 I oohed and ahhed my way through each exhibit like a wee tike more intrigued with each step. Needless to say, it turned to out to be a very educational afternoon. Unless you spend a lot of time underwater, some of theses species will appear down alien. 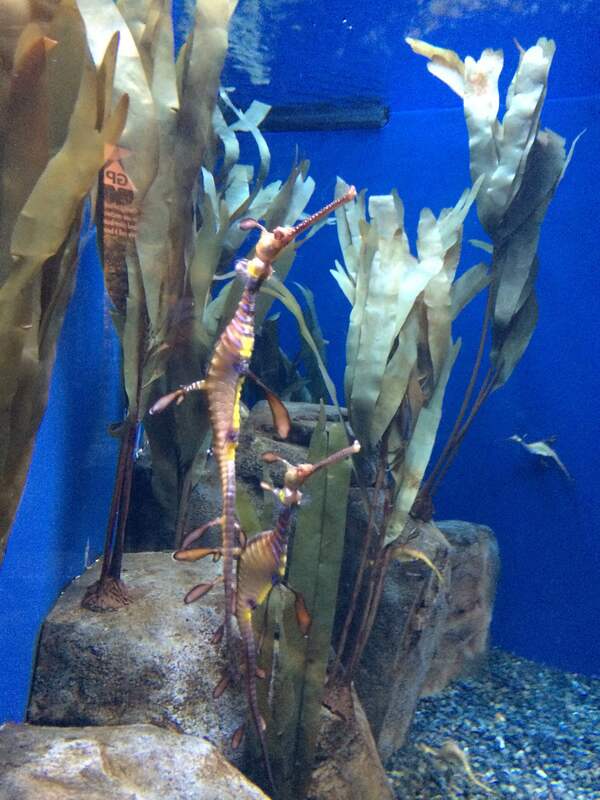 Sea Dragons. Am I the only one unfamiliar with these guys? 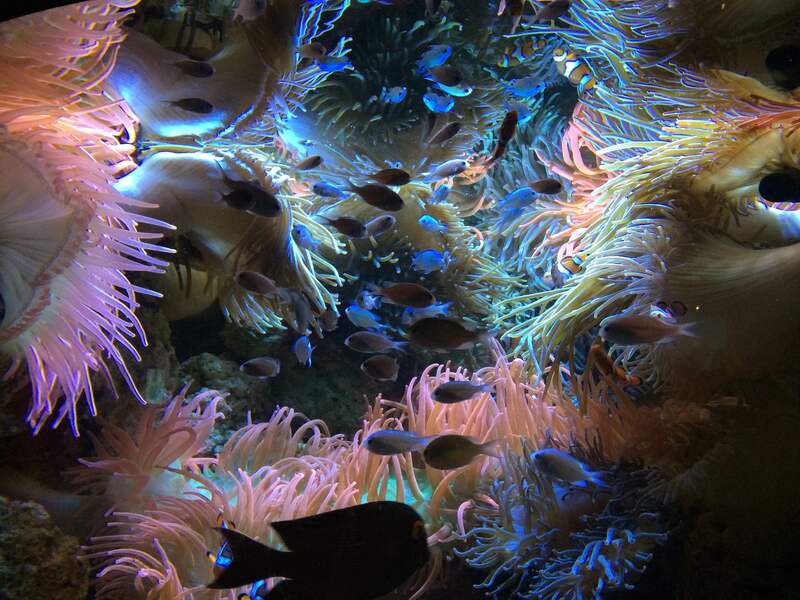 You won’t be disappointed should you decide to spend some quality time at the aquarium. Tips: Avoid the lines by grabbing your ticket online before you go. Avoid weekend afternoons if possible but if you must get there early. Give yourself a minimum of two hours. Trust me, it goes by fast. Upon arrival check the posted feeding times for the whale sharks and giant manta ray and get your video ready. Pretty awesome! 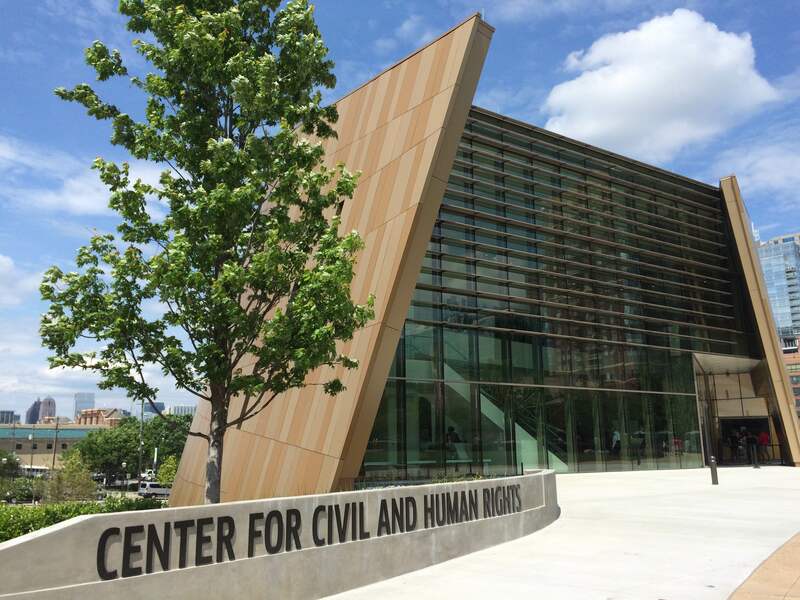 A quick walk from the aquarium is the brand new beautifully designed Center for Civil and Human Rights building dedicated to empowering people all over the world. 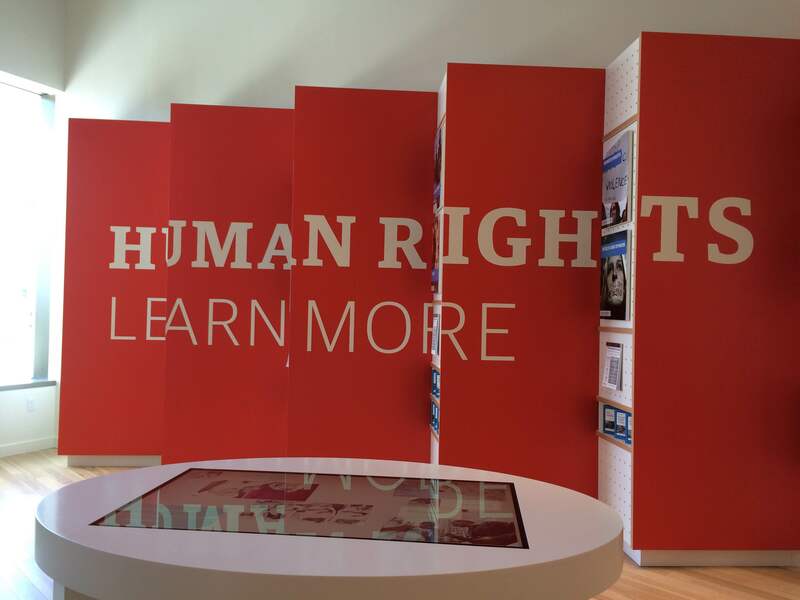 Their mission – ” encourage visitors to gain a deeper understanding of the role hey play in helping to protect the rights of all people. 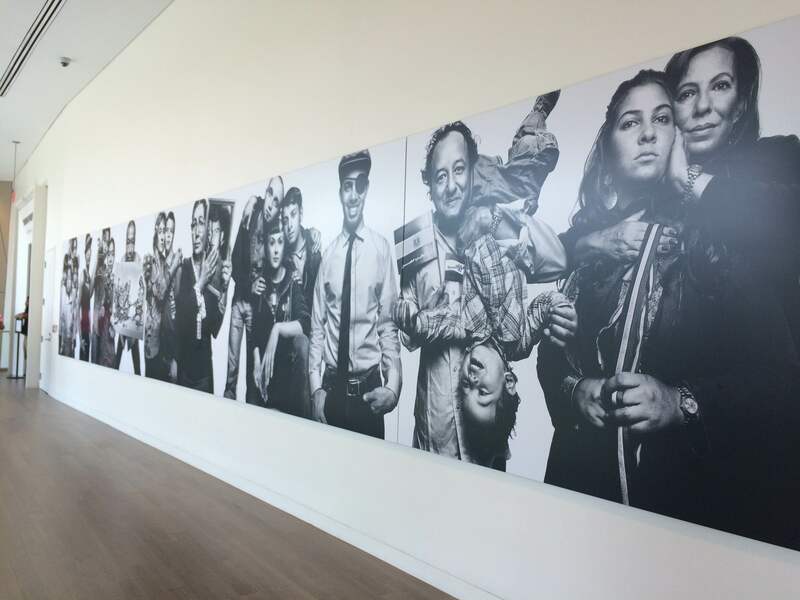 ” There are interactive exhibits, powerful audio & video archives and touching artwork throughout the space. An absolute can’t miss. 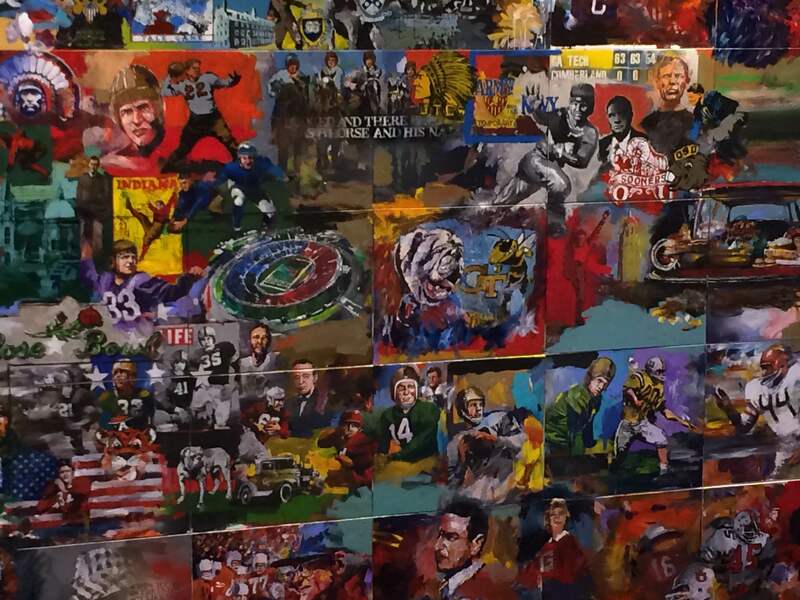 The most surprising venture of the entire weekend was a trip to the College Football Hall of Fame. Kudos to the American Institute of Architects (AIA) for holding their closing night ‘Tailgate’ party at the venue because I may not have discovered it otherwise. It is great space for hosting a shindig and really fun to explore. 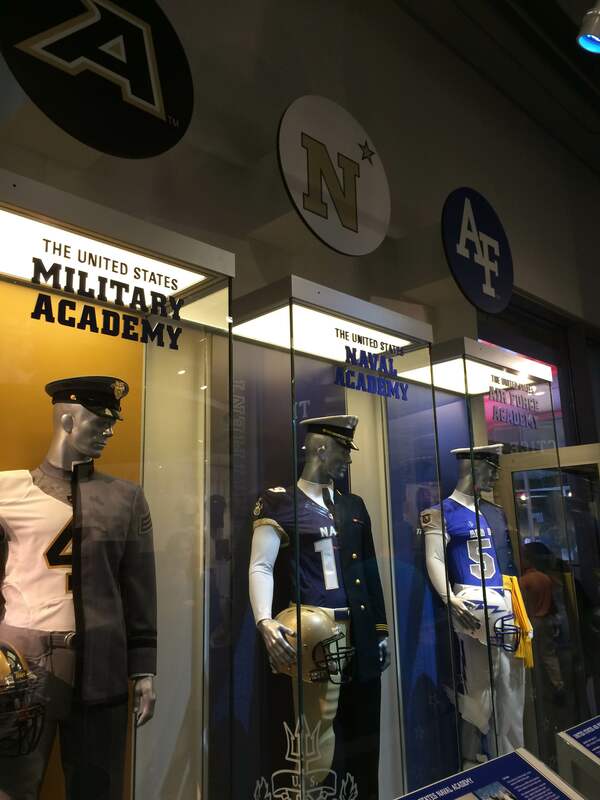 Opened in 2014 this is, no secret here, a museum dedicated to college football. If you are bored by museums and yawn at the thought of college football, go anyway. 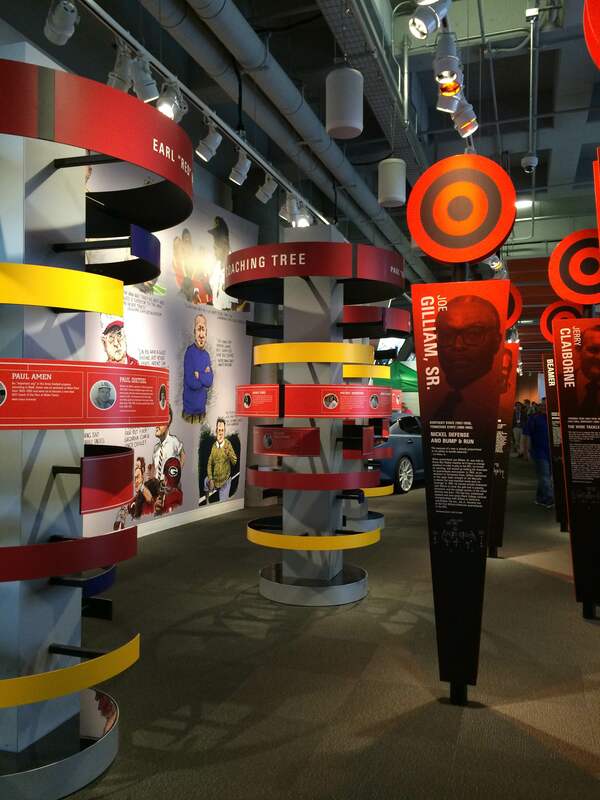 The space is wonderfully designed, colorful, and totally engaging. You might, without intending to, become quite informed and caught up in the excitement of a behind the scenes look at the game. 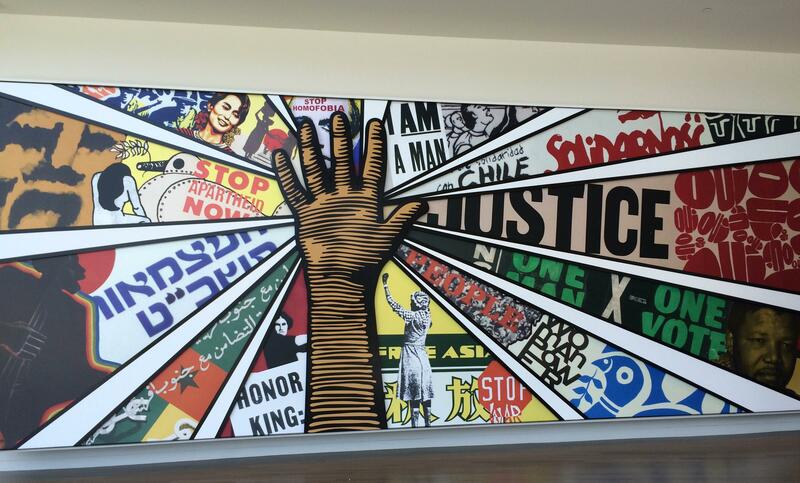 If Atlanta is on your soon to visit list then stop by one or all of the above sights. Before you go, grab an Atlanta CiyPass here and get major discounts on these attractions as well as the popular World of Coca-Cola and CNN Tours.